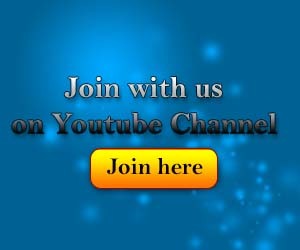 Hey buddy, in my previous articles have discussed about how to create a Fixed Layout on Bootstrap 3. 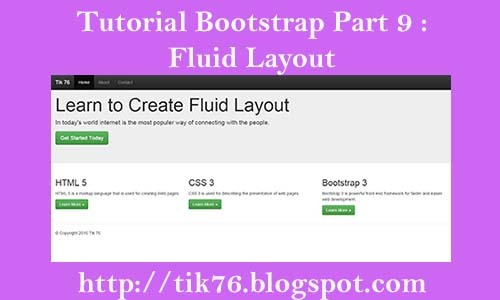 On this occasion I will discuss about Fluid Layout and how to make it on Bootstrap 3. You need to know that the purpose of the Fluid Layout is a website that has display with the size of the full screen on your computer monitor, so that by using this Layout Fluid display a no website of its boundary. On Bootstrap 3 to create a Fluid Layout we need a container -fluid class. For more details, we immediately practice course, first change your Bootstrap be fluid_layout folder and create a file with the name index.html. As for the source code from index.html it is as follows. Run the program by typing "http://localhost/fluid layout/index.html". If no error will appear in your browser as shown below.